The Seahawks on Thursday signed linebacker Kyle Coleman to bring the roster back to 90. The Seahawks have signed Kyle Coleman to fill a spot created on the 90-man roster when the team waived cornerback Jamal Marshall on Wednesday. While the official release announcing the signing lists Coleman as a linebacker, he was listed as a fullback when he participated in Seattle’s rookie mini-camp last month as a tryout player (Coleman was also listed by NFLDraftScout.com as a fullback). However, Coleman also played some linebacker during Seattle’s rookie mini-camp, one of several players the Seahawks used on each side of the ball that weekend. And Coleman played both linebacker and tight end during his college football career. So we may have to wait to see exactly how the Seahawks plan to use Coleman. Coleman finished his college career in 2015 at the University of Arkansas at Pine Bluff after having played earlier at Arkansas State. He is the son of former NFL star Monte Coleman, who is the current head coach at Arkansas-Pine Bluff. If the Seahawks are indeed looking at transitioning Coleman to fullback it would fit in line with other moves they have made at that spot of late.The Seahawks earlier this year also signed two college defensive tackles — UW’s Taniela Tupou and Brandin Bryant — and have tried each at fullback (currently, Tupou is solely a fullback while Bryant appears to be being used mostly on defense now). Coleman was listed last season at 6-2, 220. 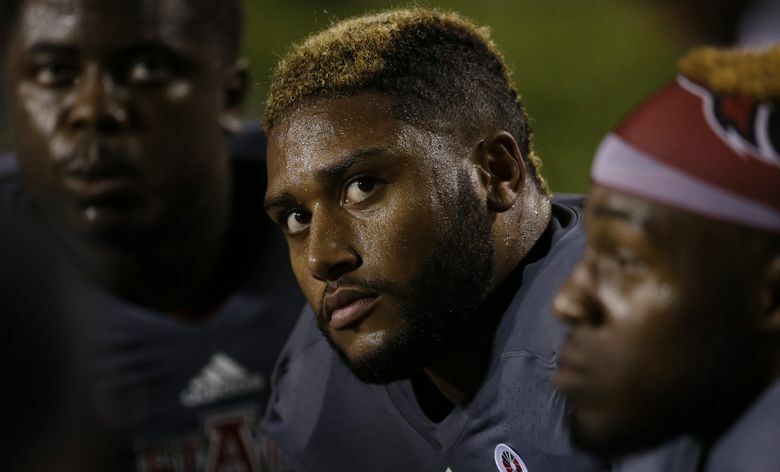 But he said in this story from last fall that he weighed more than 240 pounds when playing linebacker at Arkansas State before switching to offense for his final season last year at Arkansas-Pine Bluff. Coleman had 10 catches for 117 yards last season.